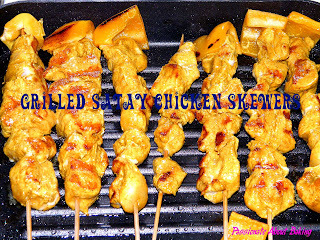 I prepared satay chicken, not knowing that my girl's HFMD has worsen. Anyway, she didn't like it and didn't eat it. I grilled the satay chicken for dinner this evening. I also made pandan rice, which was much nicer than the previous time. My helper cooked other delicious dishes too. Here's sharing how I made the satay chicken. 1. Marinate the chicken with the rest of the ingredients and refrigerate overnight (or at least 2-3hours). 2. 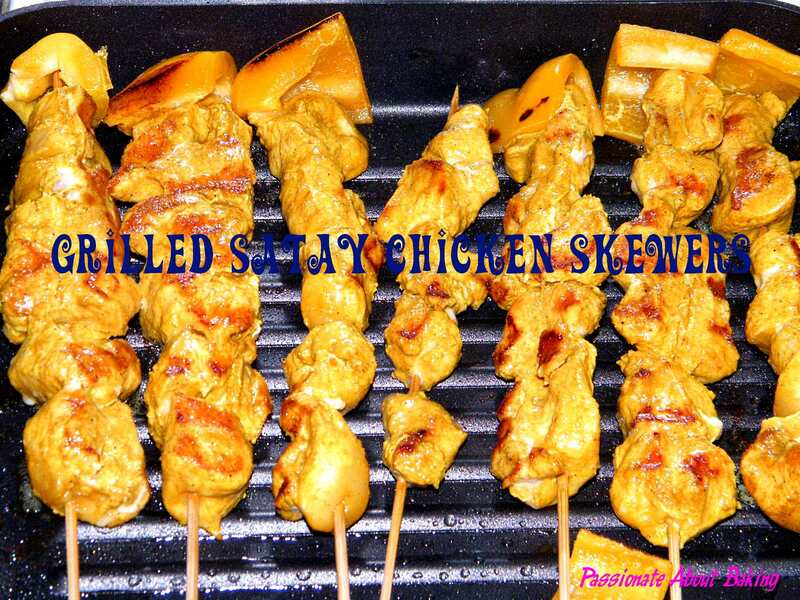 In each skewer, poke through 6 pieces of marinated chicken fillets. 3. Heat up the griller. Brush with some oil. 4. Grill the chicken in two batches with medium heat. Turn over after about 5-7mins. 5. 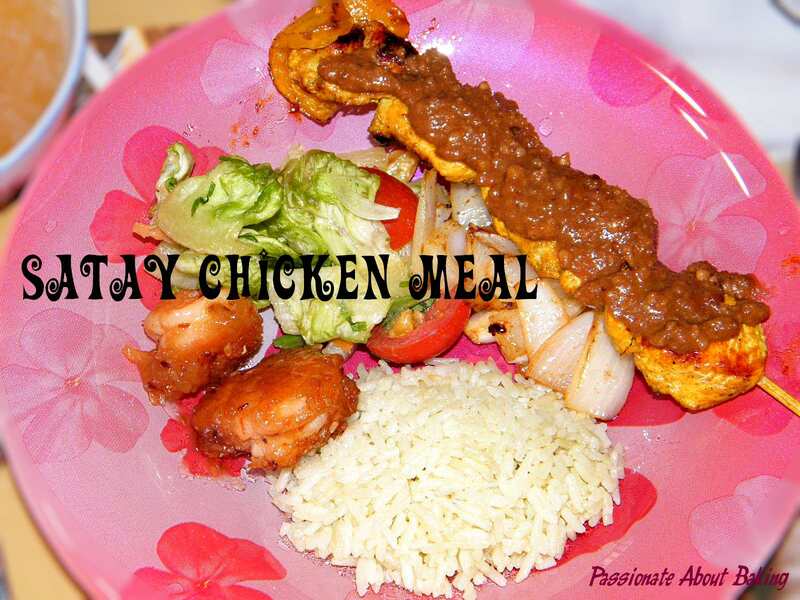 Served with rice and satay sauce. I also went to buy some mung beans to make Tau Suan. I just felt like eating them, after seeing and hearing some of the bloggers making them, like Jess and Edith. As I haven't make them for so long, I soaked the mung beans for too long and the beans were too soft which just melt in the mouth. Not my ideal kind of desserts though. Simple foods like this, also required skills actually. However, when eaten with "you tiao", it did satisfy my cravings though. Wa...the satay looks delicous! It made me salivate..;p I love satay, and I can eat at least 10-20 sticks in a go...haha! Never bother about diet when I see my favourite food..yum yum! Jane, I love satay! your satay looks so salivating, let me know next time you have spares ok. Your tau suan looks much nicer than mine, this is one of my favourite dessert. A tempting meal! 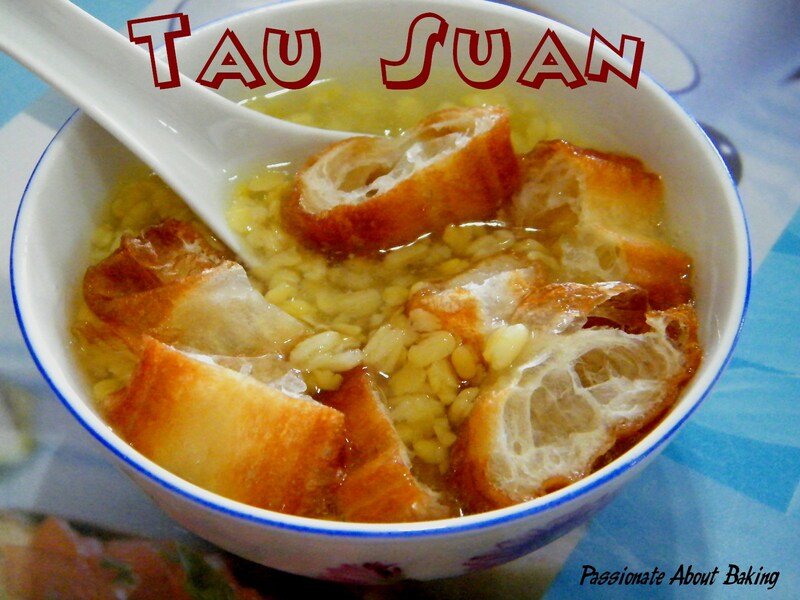 I like melt-in-the-mouth tau suan like yours. Hope your girl is on the road to recovery. I've eaten the Tau Suan just once in my life. And everybody who saw this dessert (at a wake service), asked, eh, what's this??? It is something not common here, frankly. Thanks. Ah, next time got extra, I'll invite you over. 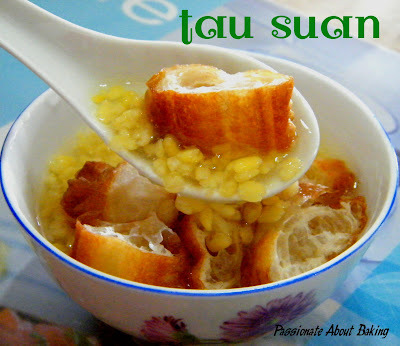 :) You are too humble, this tau suan is the worse you have seen! I'm sure you won't want to taste it. Oh, thanks for the information. Now I know.